The first step into becoming a professional pilot is to earn a Private Pilot Certificate in a Single Engine Airplane. With a Private Pilot Certificate, you can fly an airplane as a hobby, only fly in good weather conditions, and split the cost of operating the airplane with your passengers. While you are working on your Private Pilot Certificate, you can use the simulator along with your flight training in the airplane. Using a simulator, will help you get done with your training closer to the FAA minimum required aeronautical experience. To learn more about how a simulator integrates to your flight training read our other blog: Student Pilot Training. The next step is to get an Instrument Rating. Adding this privilege to your Private Pilot Certificate, it allows you to fly in weather conditions where you are only relying on the airplane instruments and navigation systems. Using an ATD will give between 10 using a Basic Aviation Training Device (BATD) and 20 hours using an Advance Aviation Training Device (AATD) for of experience. You are still limited to the private pilot privileges. In the Simulator (ATD), you can work in your instrument scan, practice using avionics such as G500-G1000-G430/530 or Avidyne avionics, brief the approach, PAUSE the scenario when you have a question, and get the answers right away, learn how to communicate with ATC and practice the proper IFR phraseology with a live person acting as ATC (not the instructor), without getting saturated with information. Making your Instrument Training more efficient. After building some flight experience, you can become a Commercial Pilot Single Engine. This pilot certificate that allows you to get a job flying. While jobs are limited with a Commercial Pilot Single Engine, you could find a job flying aerial photography, banner towing, flying someone’s airplane, and flying cargo. You can use 50 hours in a Advance Aviation Training Device (AATD) for the required aeronautical experience needed for the Commercial Pilot Certificate. Adding Multi-engine privileges to a commercial certificate is fairly simple. Most of the time you only need about 5 hours of flight time, no need for a written, but you will need a meet with an examiner and complete and pass a practical test. 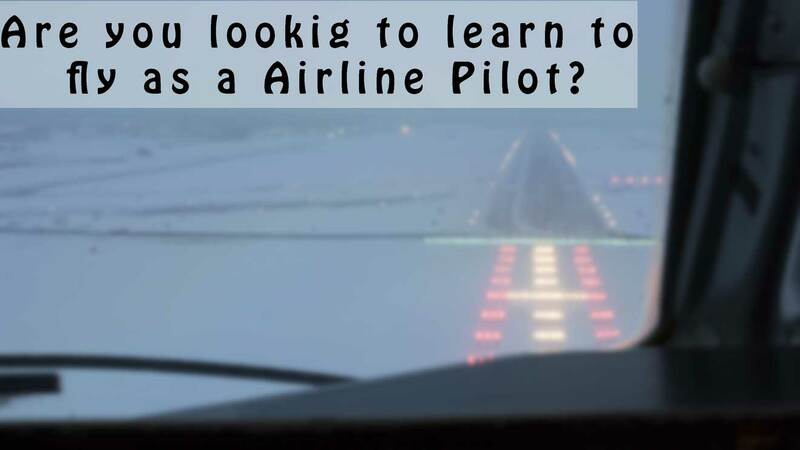 Most pilots will obtain an instructor certificate (CFI), as is one the most common way for pilots to build the experience needed to be hired to fly at the entry level of a charter company, flying on-demand or a regional airline. Earning an Instructor Certificate requires two written exams, and a very challenging practical test. You could do a third written to become an Advance Ground Instructor. While you might not need the privileges, in the future you might want to add a gold seal to your instructor certificate, you will require the extra written. Adding an Instrument Instructor (CFI-I), requires a written exam, and for Instrument Ground Instructor is another written. This instructor rating allows you to train people for their instrument rating, and conduct IPC. Adding a Multi-Engine Instructor (MEI) rating is crucial because most jet operators either on-demand charters or regional airlines will require you to have over 25 hours in multi-engine airplanes. For most people, flying multi-engine airplane could get pretty pricy, and you need will build your multi-engine time instructing other pilots. Once you have about 1,500 flight hours, you could get hire for a regional airline and start flying an airliner aircraft such an Embraer 145 or 170, or Canadair CRJ 700 which each requires training for each model of airplane. After you fly for the regional for over 5 years, you will start meeting the experiences required to be selected to fly for a US Major airline. By the time you are ready to earn your ATP, the experience gained in an Aviation Training Device wont matter as much as they did early on your training, but you can use 25 hours for the aeronautical experience requirements, if you used a Advance Aviation Training Device (AATD). When it comes to flying, you can't afford to compromise on your training.